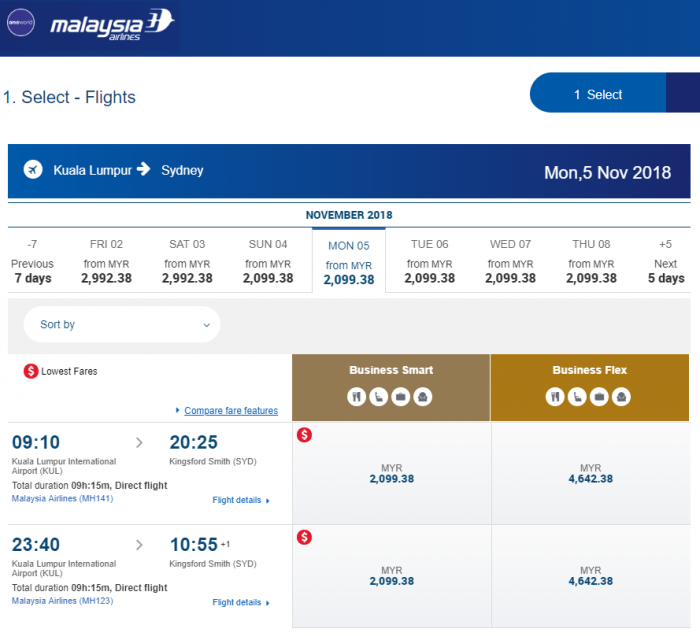 Today’s Airfare of the Day goes to Malaysia Airlines and their business class promotional round trip fares between Kuala Lumpur and Sydney. Remember that you can always email me or send me a message via Facebook or Twitter with your airfare related findings or questions. 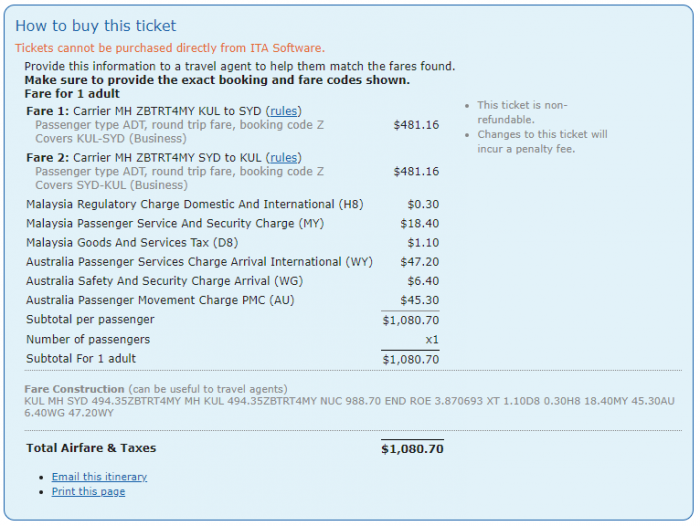 Price: from $1,080 (from $962 Base Fare + Taxes & Surcharges). Flight restrictions: THE FARE COMPONENT MUST INCLUDE TRAVEL BETWEEN KUL AND SYD ON MH FLIGHTS 140/141/122/123. Advanced reservation/Ticketing restrictions: reservations for all sectors and ticketing are required at least 5 days before departure. Maximum stay requirements: travel from last international stopover must commence no later than 3 months after departure from fare origin. Travel restrictions: valid for travel commencing on/after 16JUN 18 and on/before 19NOV 18. Sales restrictions: tickets must be issued on MH. Reservations must be made and tickets issued on/before 31MAY 18. Changes: charge MYR 400.00 for reissue/revalidation. The following accruals were estimated using wheretocredit calculator for KUL-SYD round trip travel on MH marketed and operated flights without considering any elite status bonuses or ongoing promotions.